... the month of the deepest dark - sorry southern hemisphere - but it's also the month of deepest dart and the Hour of Code. At the start of the month, Amazon made a lot of news but the item that caught my eye was a robot car that you could use to test out your self-driving algorithms. It sounds great fun, but there is a possible sting in the tail that might cost you a lot more than the purchase price and perhaps make Amazon some extra income. Happy and sad. Happy that there is a new version of OpenCV but sad that it is making progress in removing the C API. The big shock from Microsoft this month - although we really should be getting used to Microsoft doing shocking things - is that Edge is going Chromium. The news was leaked and then confirmed, including the fact that Edge would run Chrome add-ins. Soon after there was a rumour that the reason Microsoft had given up was that Google was engaging in dirty tricks to take the edge off Edge. Of course, Google denied doing any such thing, but it is as hard to prove they didn't as it is prove they did. The fact that it is possible and thinkable seems to be the important point. Actually the really important point is the Edge is to be a classic Win32 app. Is this the end of the terrible UWP? When we covered the news that Microsoft was giving up on its own browser, Edge, and moving instead to use Chromium last week, it had the status of a rumor. Now Microsoft has confirmed that it is all true and there are some extra surprises - it's a Win32 app for one! In a recent news item we speculated on why Microsoft gave up on its own rendering engine and decided to adopt Chromium. Now we might have another clue as to why it happened. More shocking Microsoft news, I really can't get used to it. Microsoft added to its earlier announcement that .NET core was geting a UI by making Win Forms, WPF and UX open source. What this actually means is still not clear and what impact it might have is something we will have to wait for later in 2019 to discover. Flutter and Dart have been making news all year, but at long last we have Flutter version 1.0. It is a way of creating cross-platform Android and iOS apps and there are efforts to make it suitable for the desktop as well. It sounds magical, but it really is nothing new. Your app runs in a native "container" and this is exactly the approach used by other cross-platform systems such as Cordova etc. What's the advantage of Flutter? Well I guess it has to be Dart, which is not a popular language at the moment. This is another one the jury is still out on. Is Google's Flutter just another attempt to rescue a failed language - Dart - or is it the future of mobile development? It really is too early to say, but with the release of Flutter 1.0 the balance seems to be moving to the future view. It's "Hour of Code" time again. My only complaint is that it's "Hour" of code. Is this reasonable? Does it give the impression that an hour is enough? It is too late to change it and anyway do we think that "10 years of code" is more attractive, even if it is more accurate? It ran from December 3-9 and this year coincided with Grace Hopper's 112th Birthday. Today, December 9th 2018, is the 112th anniversary of the birth of Grace Hopper. Her continuing legacy has been to inspire efforts to enhance the career interests of women in computing. Her concern for teaching young people is why Computer Science Education Week and the Hour of Code are timed to coincide with her birthday. In the second part of the year it seemed that every other story was about open source codes of conduct or something related. We not only had Linus Torvalds taking time out to learn how to be polite, there were a number of attempts to remove swear words from code. The final one of the year struck the JDK - let's hope it all stops in 2019. Last week concern was raised over "too many swear words" in the source code for OpenJDK. Within three days the issue was resolved after a courteous exchange of views. On the same general subject of open source governance the Python community managed to agree on how things should work after Guido van Rossum gave up being the guiding force. Some cynical people might say that it is the last thing they will ever agree on, but not me... What is a language defined by committee? 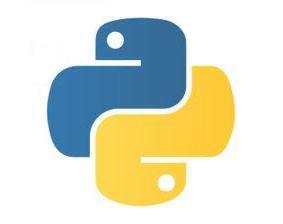 Python 4. To close our review of the year - another Mersenne Prime. Supremely useless, so far at least, and supremely magnificent as an endeavour. Will we have one or two new Mersenne primes in the coming year?